A message from one of our 36READY team doctors: Whether your focus is preparing for a major natural disaster or one that is human caused, too many of us focus on two or three areas of preparedness while ignoring or putting off other important issues. As a friend recently reminded me, “We tend to prepare most vigorously in the areas of our interest.” Very true. When we concentrate on one, or just a few facets of preparedness we are often neglecting others which are also critically important. These deserve our attention, too. We cannot afford to be myopic when it comes to preparedness. Medical readiness is such a topic. Unless your career or vocation is in some aspect of medicine or public health, your medical preparations are probably inadequate. Having a well-stocked first aid kit is not enough. Be proactive. Be thorough. Make preparedness a lifestyle of readiness. Prevention is the first step in medical preparedness. Safety Precautions. During an emergency situation you will likely engage in activities, and use tools, that are not part of your typical life. Simple precautions such as properly handling a knife, hammer, chain saw, ladder and other tools which can inflict injury, are a must. During an emergency situation, medical care may not be readily available, so even simple injuries can become serious as a result of inadequate treatment or infection. Relatively minor injuries like a twisted ankle can disable you, or reduce your effectiveness at a time when you need every ounce of your physical abilities. Be safe. Wear safety glasses, gloves, toe and ankle-protecting boots, as well as and other activity-specific safety gear. Safety is your #1 priority during an emergency situation. Expect fatigue. Stress and physical exertion will increase fatigue, and the onset of fatigue. Fatigue mixed with hazardous activities, tools and equipment is a situation ripe for disaster. When possible, frequently rotate heavy physical work among several individuals. This will delay the onset of fatigue and help heighten attentiveness. Stay Hydrated. As the tagline of the most popular water bottle/bladder manufacturer reminds us, “Hydrate or Die.” This isn’t an empty slogan. After air, your next priority for survival is to drink water. Generally, at least 100-oz of water per day for an adult, much more as the temperature or exertion increases. Naturally, the water you use must be potable (i.e. safe for drinking, cooking and brushing your teeth). Unsafe water can kill you. If it doesn’t kill you, it can make you extremely ill with diarrhea, nausea and vomiting. During periods of exertion or high temperature, add to your water a Gatorade-like sports-drink powder product that is high in electrolytes. Recipes for homemade electrolyte-replacement powders can be found on the Internet. They typically include Kool Aid for flavoring to make it palatable to children, sugar, electrolytes and salt. Get Physically Fit. Strength and stamina may be life-saving attributes in an emergency situation. With almost any disaster your physical abilities will be taxed. Moreover, those who are physically fit and suffer an acute illness or injury almost invariably recover more quickly, more completely and with less medical intervention than those who are physically unfit. Fitness requires consistency, time, perseverance during fatigue, and a mindshare commitment. With your physician’s approval and guidance, setup a slowly graduated program to improve your overall fitness. If you have not been getting exercise, start with a daily walking program or other aerobic exercise, alternating days with resistance (weights) training. Many of us know how and what to do, yet we fail to consistently apply our knowledge. If you don’t know what to do, get your physician‘s help or find a certified trainer with a National Academy of Sports Medicine (NASM) degree. Private gyms are oftentimes better than big chains. The time is now. Add exercise to your daily schedule as if it is an important appointment. It is. Recruit a friend to join you; together you can help each other remain consistent. You are more likely to faithfully exercise if you are doing it with someone. Lose Excess Weight. Morbid obesity is a common and serious medical disorder involving excessive body fat, but simply being overweight by 15-20 pounds can also create health risks. Excess body weight increases the risk of other health problems. Stress and new levels of exertion during an emergency situation can be deadly for an overweight person. Excess weight also interferes with basic physical activities such as breathing, sleeping and walking. It will be a serious handicap in a scenario where everything is being accomplished by strenuous physical activity. Those who are significantly overweight are at much greater risk for developing other serious disorders, too. This can include health problems such as: diabetes, heart disease, high blood pressure, sleep apnea, chronic heartburn (gastroesophageal reflux disease), gallstones, degenerative arthritis, and even stroke and many types of cancer. Medical conditions such as these can reduce your survivability during even a minor disaster, so do what you can now to improve your health. Ask your physician for help in maintaining a 2-3 month supply of the medicines you need. This may be a life saver during a disaster. Notwithstanding, if your medicine is left behind or damaged as a result of a disaster, or the situation is protracted and you don’t have access to a pharmacy, your health problems may proliferate explosively. Weight loss is a simple way to mitigate these potential problems. Excess weight isn’t just a health risk; it may also reduce your ability to respond to the disaster. Moreover, as your family and friends try to help you, it may increase their risk, too. If you are overweight, schedule a doctor visit and start dealing with this problem today. Lose the weight. It can save your life and maybe the life of your loved ones, as well. Eat Right. Our bodies require high quality nutritional sources to run all of our bodily systems. Even if you are typically health conscious about diet and nutrition, you may not have access to the foods you normally eat. A change in diet can cause stomach upset, heartburn, constipation or diarrhea. Keep medicines for these ailments with your food supply. It is difficult, but nevertheless important to be nutrition-aware during an emergency situation. Read food product labels, be aware of calorie intake (a minimum of 1,200 calories for most adults), and do what you can to maintain a balanced diet that includes fiber (and plenty of water). You may ordinarily avoid fats and sugar, but these may be advantageous if your situation involves stress or exertion. Alertness and good decision making are aided by a balanced diet. Take a Multivitamin. Consider taking a daily multivitamin, now, and rotate a supply through your Emergency Supplies Kit and GO-Bag. Since vitamin products degrade quickly when exposed to heat, light and moisture, keep this in mind when you select your storage method and location. It’s not just advertising “hype” that multivitamins can enhance health, particularly for those who don’t eat nutritionally well-balanced meals. Keep in mind, too, that people have different nutritional needs. For example, growing children have different nutritional needs than adults, as do pregnant women and women in their reproductive years. Seniors need age-specific multivitamins or supplements. Though some physicians and dieticians dismiss the need for vitamins and supplements, most people find them helpful. Today, most of our foods are over processed or prepared in a way which significantly decreases their nutritional value, so taking vitamins and selected supplements seems to provide some added “nutrition insurance”. With the help of your physician or a competent advisor, decide what multivitamin is best for you; your health needs and your environment. Since many major brands are useless because they fail to dissolve fast enough to be absorbed by your body, test each vitamin and supplement you are considering. To test absorption, put the vitamin or supplement in a glass of room temperature water and wait 30-minutes. If the pill has not dissolved in the glass, it may not dissolve in your stomach. * As with medicine, protect children from unauthorized access to vitamins. Selection of Vitamins and Nutritional Supplements. If you and your physician think that it is safe to take these products, do your own research. The websites for manufacturers of effective vitamins and nutritional supplements will contain more than marketing hype. For example, the website for “Life Extension” (www.lifeextension.com) includes information on clinical research conducted using their products, blood testing services, articles on specific health concerns, a helpful online magazine which includes erudite articles, and evidence that their products are routinely referenced in independent medical and health journals. Vitamin and Supplement Details: Multivitamins can be a cost effective way to cover all the basics, but you may also want to include nutritional supplements for specific health goals. The following information is for an adult, and is provided only as an example. We include it here to help you formulate your own plan. What you take, and the dosage, should be determined as a result of your own research, and validated in consultation with your physician. Vitamin C, 1,000 mg/day. Vitamin C boosts the immune system and promotes rapid healing of connective tissue injuries (cuts, sprains). 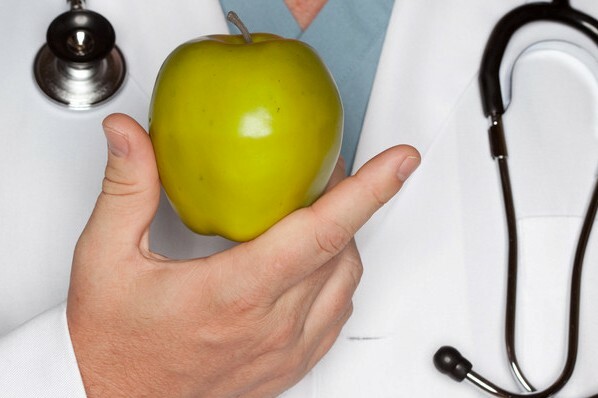 Some nutritionists advocate much higher doses, especially during a disaster scenario. However, with a normal diet that contains vitamin C (citrus fruits especially), 1,000 mg/day is generally considered adequate. Zinc, 50 mg/day. Reported to be a significant immune system booster. Do not exceed a dose of 50 mg per day as a higher dose can produce adverse effects. Magnesium, 500 mg twice or three times per day. Magnesium helps to keep blood pressure normalized. It also helps decrease the risk of stroke and heart attack and helps prevent muscle cramps. Fish Oil, 2000-8000 mg/day. Fish oil is an effective anti-inflammatory, and also has effects similar to mild blood thinners. These two beneficial effects may help decrease the risk of heart attack and brain attack (stroke). Other Popular Supplements: Green Tea Extract, Vitamin D3, Vitamin B12, and Vitamin B6 (Pyridoxine). Posted in Editorial on Preparedness, Health & Sanitation.Tagged hydration, medical disaster, medical readiness, preparing for disaster, preparing for emergency situation, preventative medicine, water in emergency.